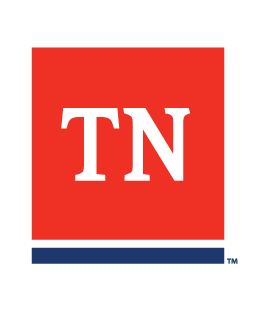 What is the purpose of the Tennessee Incumbent Worker Training Program? Process improvement that contributes to the competitiveness and productivity of a business. A paid, full-time employee of the applicant’s business. For the purpose of these funds, anyone to be trained must be working at a facility located in Tennessee. Process improvement refers to training that contributes to the competitiveness and productivity of a business, such as, but not limited to, Lean Manufacturing, ISO Certifications, and Six Sigma. Participants qualifying for a job with changing skill requirements, or for higher paying jobs with their employer. Tennessee for-profit and (not-for-profit, health care related only) businesses that have been in operation for a minimum of one year prior to the application date, employ at least five full-time employees, are current on all federal and state tax obligations, and are financially viable are eligible to apply. A business currently receiving training funds, either directly or indirectly, from Tennessee state government unless those training funds do not duplicate the training efforts outlined in the project application. A business that has received funds, either directly or indirectly, from Tennessee state government under any previous training initiative and the terms of the agreement for training have not been met. A company that has already met its limit ($50,000 for grants awarded in consecutive years from PY12-13). A third party organization is not eligible to apply as a grant recipient. What kind of training may be funded by the IWT? Occupational skills-upgrade training designed to meet the special requirements of a business and conducted with the employers’ intention to continue to retain all trained individuals upon their successful completion of the training. An applicant must demonstrate the effect of the proposed training on business operations and must identify the skills upgrades to be acquired by the employees. Funds awarded for a project will be expended on training activities that take place only in Tennessee. Costs associated with conferences will not be allowed. IWT funds are limited and are therefore awarded in a competitive bid process. The maximum award is $25,000 per grant with a funding limit of $50,000. Once a company has reached its funding limit with two or more grants in consecutive program years (beginning program year 2012-2013), it must refrain for one year prior to applying for another grant. As an example: if company A is awarded a $20,000 grant in 2012-2013, and a $15,000 grant in 2014, and a $15,000 grant in 2015, it would have to skip the following year before being able to reapply. After skipping a year, a new $50,000 maximum will apply. Yes. Employers participating in incumbent worker training are required to pay the non-WIOA (non-federal) share of the cost to provide training to their incumbent workers. Employer cost share contributions must be tracked and documented in the contract file. What outcomes are expected from the IWT grant? When workers lack needed training and businesses experience skill gaps, the company’s ability to compete, expand, and retain workers can be compromised. Tennessee’s IWT, funded by the federal Workforce Innovation and Opportunity Act (WIOA), addresses such needs. The specific outcomes of training through the IWT will provide skill-attainment opportunities for employees, or contribute to the competitiveness and productivity of the company. How is the IWT administered? IWT is cooperatively administered through the state’s Local Workforce Development Area (LWDA) and the Tennessee Department of Labor and Workforce Development, Workforce Services Division. Within the framework established through the IWT program and the Workforce Innovation and Opportunity Act (WIOA), an LWDA may request additional information or establish supplemental provisions and requirements for the training projects. The business must contact the Local Workforce Development Area (LWDA), (LWDA contact) that administers the Incumbent Worker Training (IWT) in its geographical area. This contact allows the business and the LWDA an opportunity to review the guidelines and eligibility requirements, highlight restrictions, discuss training priorities, understand the cost reimbursement procedures and the application time schedule, and to review other procedures and expectations. Program applications for Tennessee IWT are available on the Tennessee Department of Labor web-site: LWDA contact).These documents are also available from LWDA offices. Is it required that applicants use the provided application? Yes. The application is provided in a Word document. All information is to be provided within the application. Space will expand to accommodate the information. Please do not include the trainer’s résumés or other excess information. Also, course descriptions and objectives should be summarized within the application. Incomplete applications will not be considered for review. The LWDA staff is available to provide technical assistance throughout the process. What criteria are used to review and fund applications? The training is restricted to skill attainment activities or process improvement training. Any additional criteria, required by the LWDA, have been submitted. The LWDA then scores the applications and submits them to the Workforce Services Division with a letter of recommendation for final review. The number of awards approved per round is based on funding availability as determined by the State Workforce Development Board. May a third party apply for training on behalf of the business? The Local Workforce Development Area (LWDA) will notify the business of action taken on its application. The LWDA will begin the process of developing a contract between it and the business. The contract will set forth all processes and expectations for administering, implementing, and completing the training. Each project will be monitored and evaluated by the LWDA, with outcomes reported to the Workforce Services Division. How long does a business have to conduct the training? Training must be completed by December 31st of the program year during which the grant was awarded. LWDAs may require individual start and end dates for each training program activity. May the contract be extended? No. Contracts cannot be extended past December 31st of the contract (program) year. What information is a business required to supply to the LWDA about the employees to be trained? Are any reporting requirements expected of the business? Yes. The Local Workforce Development Area (LWDA) will advise and discuss the reporting requirements for the grant award; these are to include content, documentation to verify the employer match, timeframe, and other matters. A final report on the training is due no later than forty-five (45) days from the end of the training. This report will be forwarded by the LWDA to the Workforce Services Division.